Greg Olsen’s New Thriller Mystery! Gregg Olsen knows how to write a thrilling murder mystery with intriguing characters, twists and turns down the old primrose lane of suspense, fear, and the quest to figure out who the murderer is. 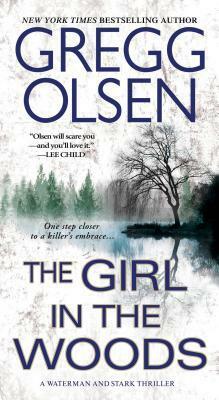 The female protagonist in The Girl in the Woods, is a strong, sure-footed forensic pathologist called Birdy Waterman. Birdy is naive and tends to imagine good or bad qualities in her suspects that just aren’t there. Nonetheless, this is an admirable quality that Birdy has and makes her a relatable character that you will get to know very well. You will know Birdy very well, in fact, because it is who she is with all her emotions and fears that mirror your own, will become your emotions and fears. The realism is there and you are there in the moment, looking over Birdy Waterman’s shoulder as she finds the killer. I highly recommend this excellent murder mystery.